"The AcornVac System provided a healthy store environment for employees and guest during the construction process. The system eliminates the saw cutting of the concrete throughout the store floor which would have produced a great deal of dust and residue - no matter how carefully you tarp off the area. With the AcornVac System, we reduced the amount of construction waste, tile, concrete, carpeting, etc. while being environmentally friendly." 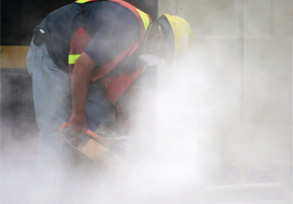 Since there is no waste line trenching required, issues associated with concrete duct or asbestos abatement are eliminated, and a healthier, safer environment can be maintained on renovation projects. 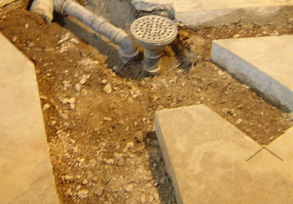 No open trenches during the installation of the system, eliminates construction safety issues. 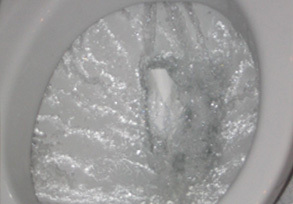 A vacuum toilet uses only ½-gallon of water per flush. This provides significant savings in the water supply and sewage disposal costs. These features may contribute to LEED or green construction point credits. Designed to provide complete redundancy on all primary Vac Center components. This includes dual collection tanks and multiple pumps. 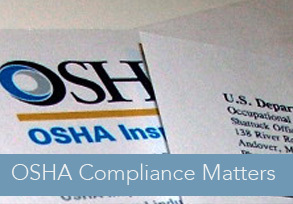 OSHA Compliance Reduces compliance issues as there are no open trenches and the project can be open to the public. Creates a cleaner environment and reduces the health hazards associated with gravity drainage. Since the piping system is maintained under a continuous vacuum, waste water and debris is drawn into the system, not out, eliminating any issue or concern with waste piping leaks. 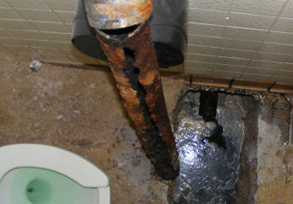 The system reduces any health risks associated with sewage waste line back up at the fixture. 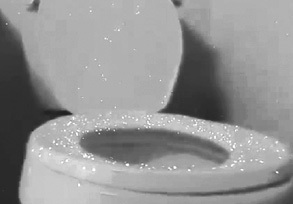 because toilets flush by drawing air into the toilet bowl, there is no splash during the flush cycle.